ViewPoint RV & Golf Resort – RVer’s and Golfer’s Delight! 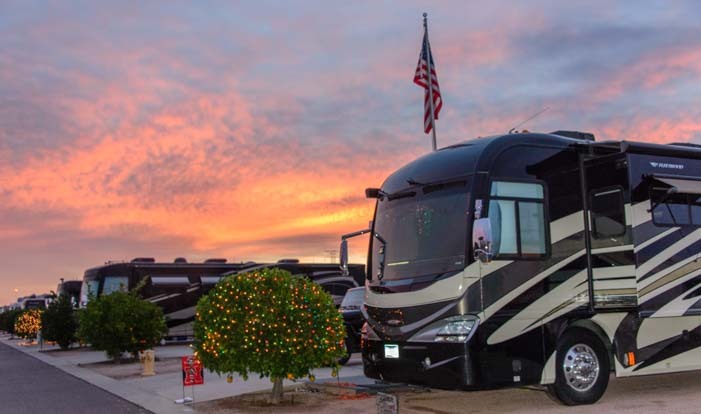 December 2015 – Before the holidays, we had the opportunity to enjoy a wonderful week-long stay at ViewPoint RV & Golf Resort in Mesa, Arizona. Even though our typical mode of RV travel is to boondock, which is decidedly more gritty than pulling into at an upscale RV resort park, we got a huge kick out of taking a brief time-out from our solar powered lives to enjoy the sweet amenities at this resort RV and mobile home community just outside the big city of Phoenix. It was here that we made the swap from our old 2007 Dodge Ram 3500 to our new 2016 Ram 3500 dually truck. And because the RV park is close to a Valley Metro Light Rail station, we were able to zip into town to see Alice Cooper in concert without having to worry about parking our big new truck in the city. 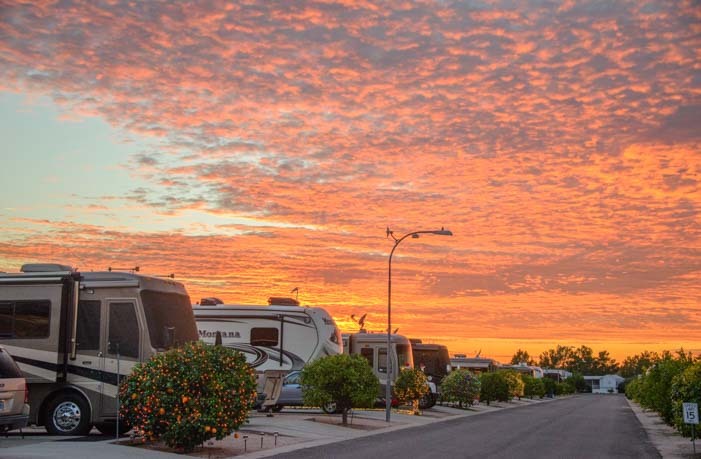 ViewPoint RV & Golf Resort is a sister park to the beautiful and action packed Monte Vista RV Resort a few miles away. And, like its sister, it is a true resort community, complete with a lovely swimming pool where a water aerobics exercise class was going on when we arrived. What a spot for some wintertime water aerobics! 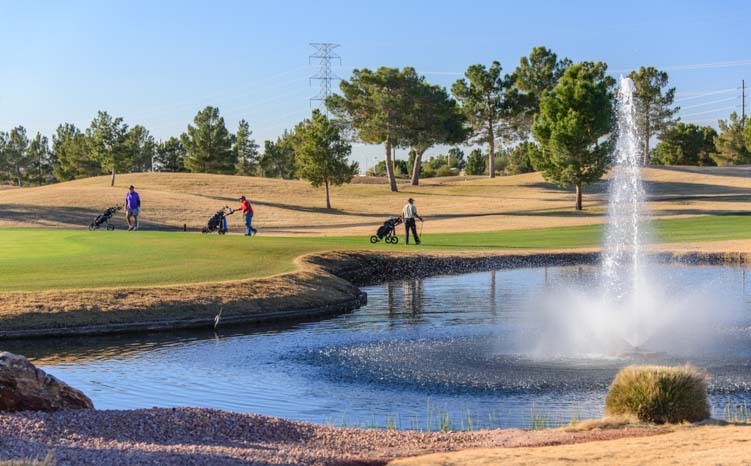 As the name implies, this is a golf oriented resort, and for visitors and residents alike there is an 18 hole golf course just steps away from your front door! We aren’t golfers, but the course was being enjoyed by many. If there is a golf heaven on this earth, it has to be in the Sonoran Desert of central Arizona where each golf course you see is more stunning than the last! 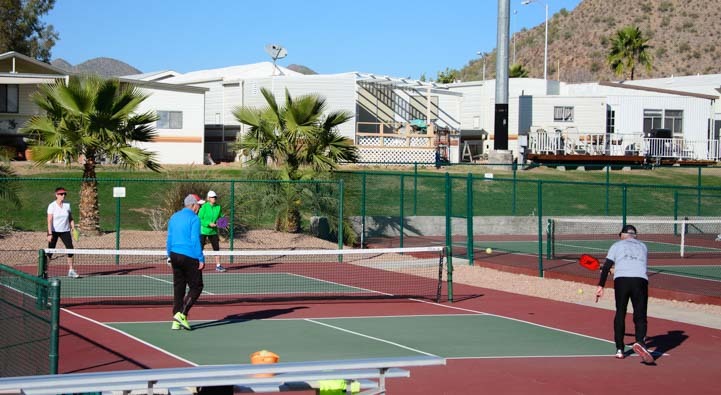 There are lots of other outdoor pursuits for non-golfers in this RV park, and as we explored the community on foot and by bike, we found pickleball courts and shuffleboard courts too. The pickleball courts were busy! This winter snowbird community is largely made up of park model homes, and we had fun checking out the cute houses that line the lanes. ViewPoint is a pretty community of park model homes that is fun to explore by bike or on foot. 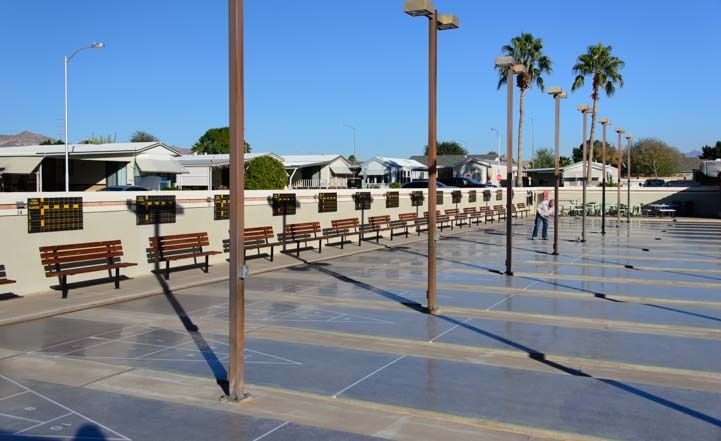 A spacious RV park is located at one end of the community, and the sites are big and nicely spaced out. Each has a concrete slab. Most of the RVers we met there were staying for a few months or for the whole season. Many of the rigs were actually vacant while we were there, because their owners had flown home for the holidays. But the few who were staying for Christmas said the whole park would be buzzing with activity from January through March. Santa welcomes us to the ballroom and theater! This park is really well appointed with amenities of all kinds, and I was quite surprised when I poked my head in one door to find a library loaded with books. 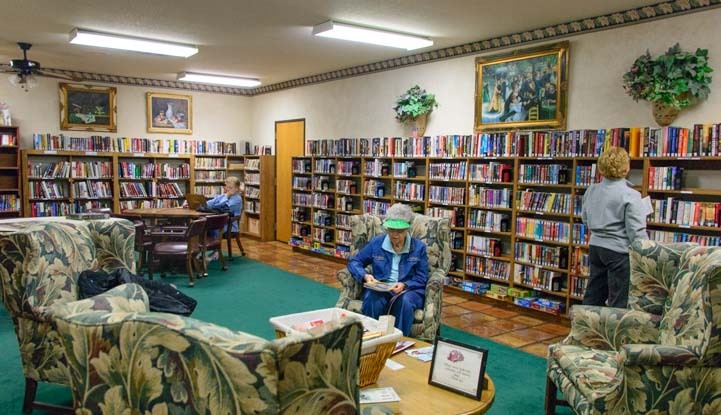 This library is very popular, and every time I passed by, I saw several people either reading at leisure or scanning the hundreds of book titles on the shelves. The gym was terrific and outfitted with excellent equipment, including one of my favorite machines that is really hard to find even in the biggest commercial gyms: a good quality rowing machine. Just outside the gym windows there is a hot tub, and we saw people soaking in it every time we hit the gym for a workout. 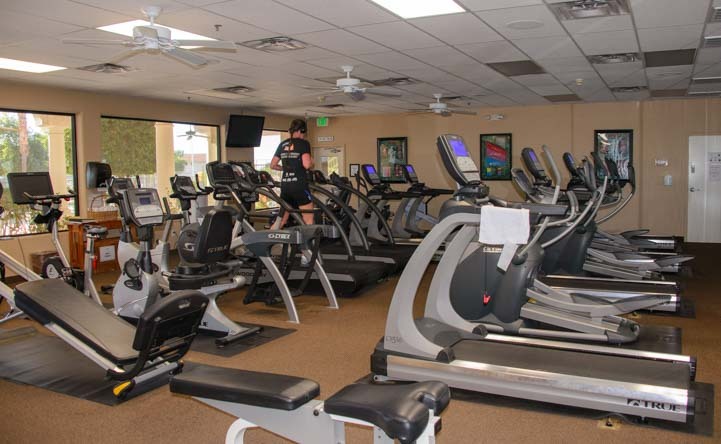 I really enjoyed my workouts at this gym — a “conventional lifestyle” luxury I miss! 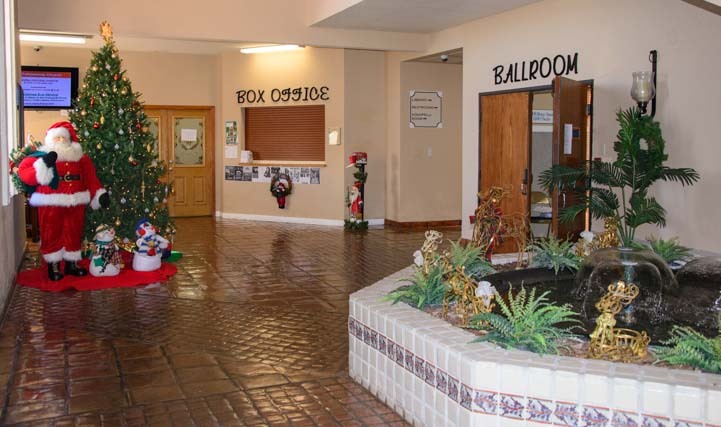 Along with arts and crafts groups and a photography club that produced a hallway full of truly stunning photos in the main building, ViewPoint RV & Golf Resort also offers a huge variety of excursions to nearby and not-so-nearby attractions. 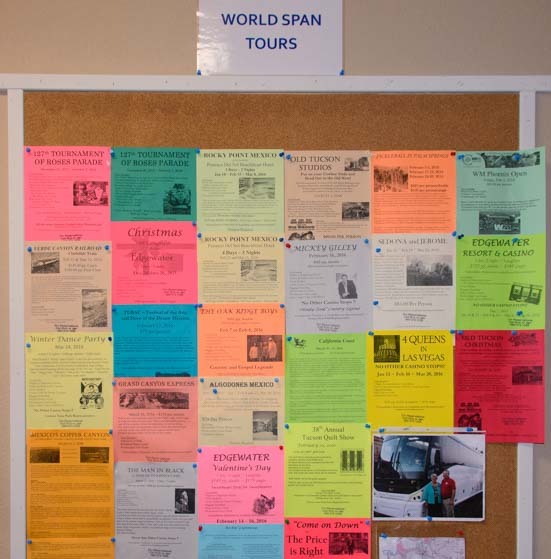 A bulletin board lists daytrips and overnight jaunts to all kinds of exotic places, from Rocky Point in Mexico, to Tubac, Arizona, to the Grand Canyon and Copper Canyon and even a trip on the Verde Canyon Railroad. For those that want to see these special places but don’t want to drive their RV to each one, what a great way to do some fun traveling while using this RV resort as a home base! 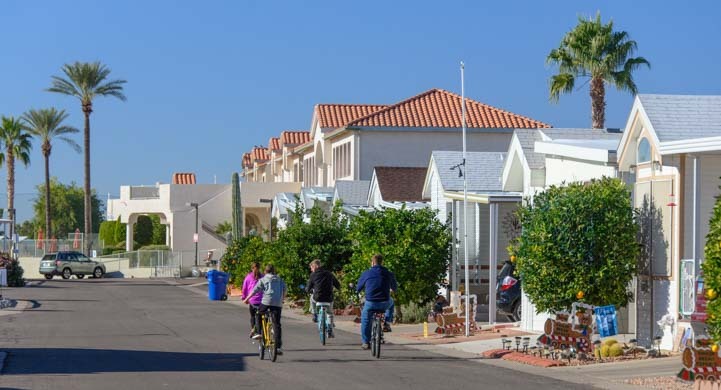 ViewPoint RV & Golf Resort is a big community, and I was impressed that they have quite a few amenities right onsite, saving residents and visitors a car trip into Mesa. There’s no need to hunt down a hair salon somewhere in the city, because there is a hair salon located right on the resort grounds! 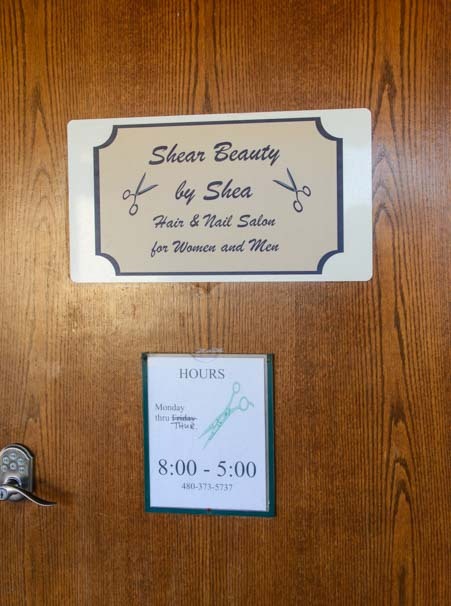 Walk to the beauty salon from your RV! There’s also a really fun sports bar and restaurant next to the golf pro shop called Fat Willy’s. We wandered in late one afternoon to discover we had hit it on the best day of the week, Monday, when they offer $6 gourmet burgers and $3.50 pints of Kilt Lifter (a yummy Arizona craft beer). The place was so packed they had to set up extra tables and chairs in another room! This is a popular place for snowbirds looking to get away from winter’s chill up north, and we discovered that lots of people come here along with friends and family who journey down from cold country for the winter. When we were doing our laundry one day, we got chatting with a long-time winter resident and discovered she had purchased her park model home sight unseen with a phone call from Minnesota so she and her husband could join her sisters and their husbands who already had winter homes in the resort complex. The community is expanding with new park model homes. She was thrilled with her winter digs and just loved the community. 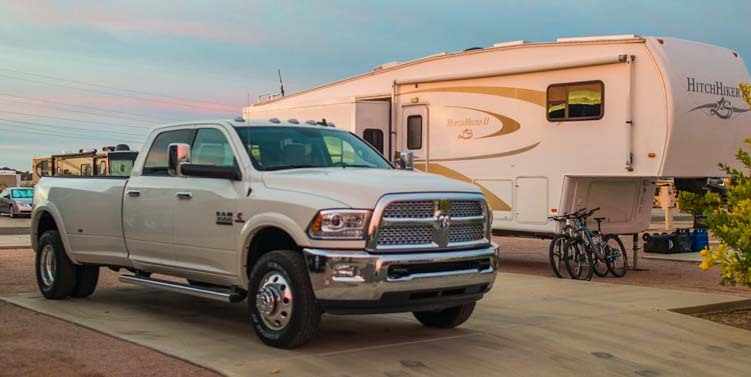 We also met several full-time RVers as well as former RVers who had purchased park model homes here either to establish a home base for their travels or because the time had come for them to hang up the keys. 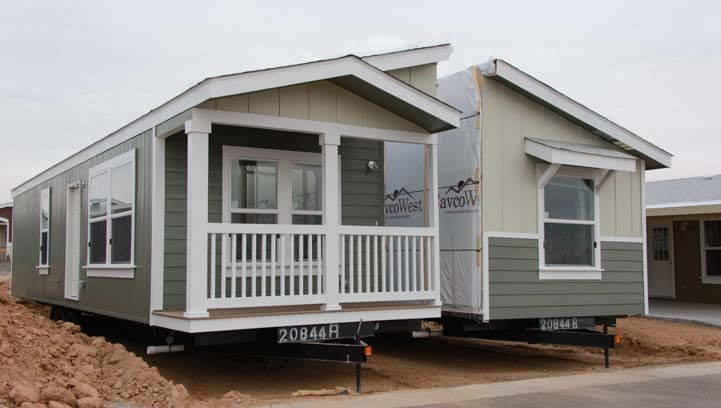 While we were there, ViewPoint RV & Golf Resort was in the middle of a big expansion, with new park model homes going in and some of the common areas getting upgraded. Having a cute little home base is a nice option for full-time RVers! Staying at an upscale RV resort like this isn’t cheap, but we discovered the rates can be reduced significantly with a Thousand Trails Camping Pass. 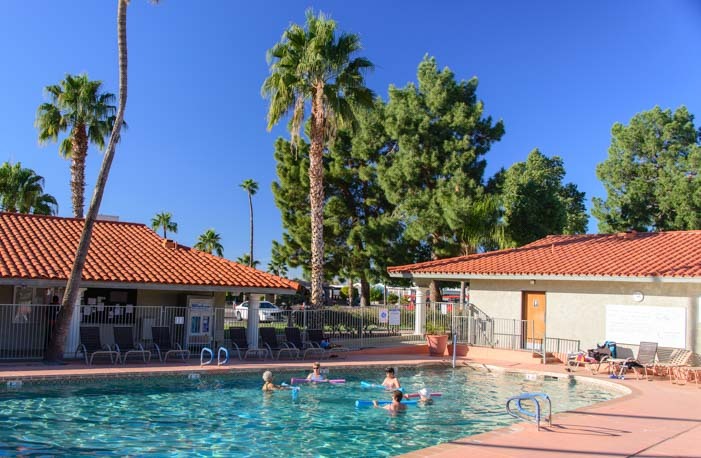 The daily rates at ViewPoint RV & Golf Resort are $51/$65, in summer/winter while weekly rates are $306/$390 for the same periods with 20% off for Thousand Trails members. Monthly rates range from $1,097 in Jan-March to $806 in Oct-Dec to $519 in Apr-Sep., with Thousand Trails members receiving a 10% discount. For RVers who want to settle into this park for the most popular months of December to March, the Thousand Trails Camping Pass saves $409 over those four months, which nearly pays for the pass itself, making it possible to camp within the Thousand Trails network for very little during the rest of the year. Thousand Trails Camping Pass – How to make THIS resort quite a bit cheaper! Other blog posts from our RV adventures in Central Arizona – Things we’ve seen and done!